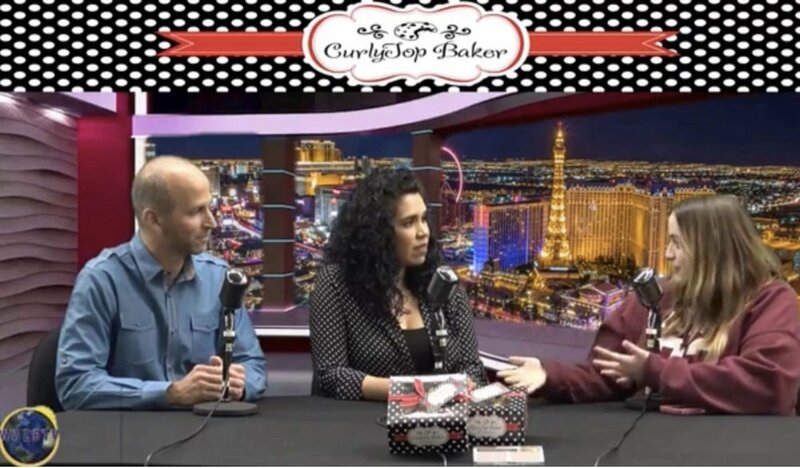 This week CurlyTop Baker was invited to be a guest on the Corey Taylor Talks Show. If you don’t know who Corey Taylor is, just ask your teen. If you don’t have a teen, ask your neighbor’s teen because chances are they are in the know. Corey hosts the #1 teen talk show and it was an honor to be on her show. Corey is definitely in the know. We met her at the Celebrity Connected Luxury Gifting Suite Honoring the Academy Awards (more on that to come) and instantly connected as loving Las Vegas locals. She fell in love with our cookies and we fell in love with her heart to impact teens and young adults. Corey is an encouraging voice that tackles teen issues and connects her audience with others who are using their talents to make a difference within the community. She is personable, funny and we truly admire her unique voice and desire to share such a strong positive message. We were able to share our story, vision and the heart behind our mission to raise awareness for homelessness all around us, and the impact they have made on our lives personally. Between gushing over our cookies and winning over her picky mom and cookie snob publicist, we’d say this was the sweetest interview we’ve been delighted to be a part of so far. Newer PostIt's HERE... The Vegan Chocolate Chip!